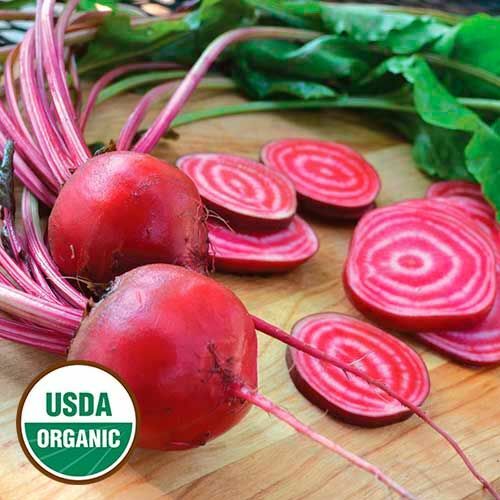 (aka Bassano) Noted for its alternating red-and-white concentric rings that resemble a bull’s-eye, this variety is wonderful for both fresh eating and pickling. It retains its markings if roasted whole and sliced just before serving. Named for a fishing town near Venice, this historical Italian variety has been grown in the United States since at least 1865. 50 days.